Purple Amethyst Gemstone 9ct White Gold Ring Vibrant Purple Amethyst gemstones are shown in it's true brilliance, in this beautiful ladies ring design. 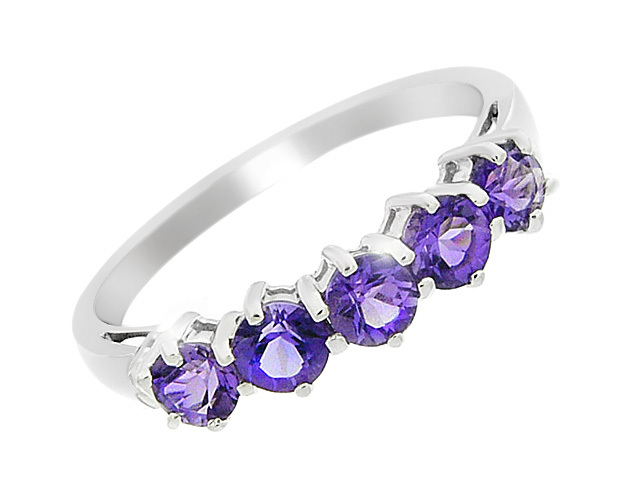 Set on a polished 9ct white gold ring band, are five round cut, purple Amethyst gemstones. The gleaming 9ct white gold ring band displays the Amethysts to perfection. 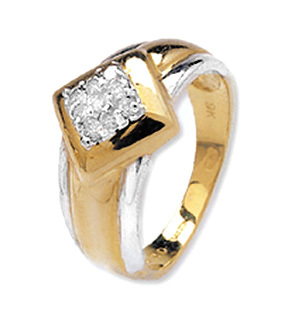 9K W Gold Kagem Zambian Emerald and Diamond Ring 1.00 Ct.